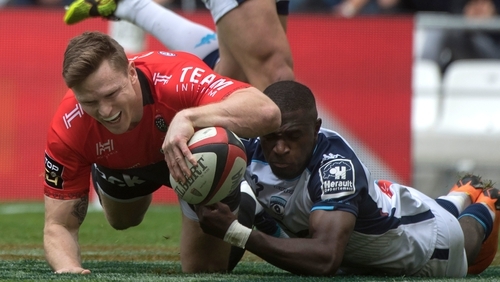 Chris Ashton has broken the record for the most amount of tries in a Top14 season, crossing over for his 22nd try this weekend. The former England winger claimed the score when he opened Toulon's account in the seventh minute of their clash against Montpellier on Saturday, after the ball was fed into him by former All-Black Ma'a Nonu. Toulon went on to win the tie 32-17. Ashton equalled Napolioni Nalaga's 21 tries after he scored against Clermont earlier this month. Former Fijian Nalaga achieved that feat while in action for Clermont during the 2008/2009 season. Ashton moved to the French club last summer from Saracens as a double European Cup champion.